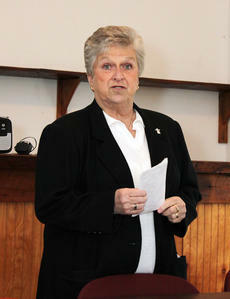 It’s a city with a population of just over 300 people, but Willisburg definitely has some growth in its future. Willisburg was chartered in 1836, and only recently celebrated the election of not only the first female mayor in the history of Willisburg, but all of Washington County. On Wednesday, the city took another step as it opened its first city hall, despite having established a city government in 1967. Former St. Catharine College hurler Josh Lueke became the first Patriot to wear a Major League Baseball uniform when the 2011 season began. Lueke is a member of the Seattle Mariners and will pitch out of their bullpen. He is the first player under coach Luther Bramblett to make a big-league squad. While at St. Catharine, Lueke was a first team NJCAA All-American, and had a 0.25 ERA in 71 innings with 84 Ks in 2006. For his career, he had a 1.01 ERA with 141 Ks in 134 innings pitched. 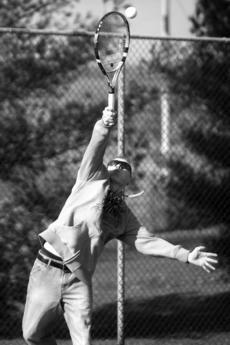 Both Washington County tennis teams are off to a slow start, but look to turn things around starting April 12. “We’ve had a tough season so far, but new players such as Jessica Brady and David Haydon are learning quickly and playing surprisingly well for their first year,” tennis head coach Aaron Dugger said. On Friday, the Commanders played a boys-only match at Anderson County. In number one singles action, Tyler Beam lost 8-0 in pro sets. In number two singles, Steven Royalty lost 8-4. The St. Catharine College baseball team went on a five-game winning streak last week, beating West Virginia Tech in four of those outings. The Patriots beat 14th ranked Union College to begin the streak. All of those wins came at home. 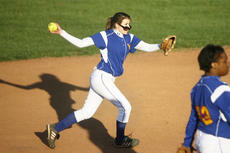 The Patriots softball team had similar luck, earning a two-game win streak. 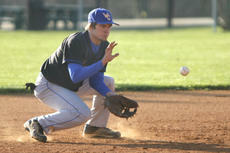 They beat Midway College in a doubleheader on March 31 at home. Both teams continue play this week. There is one dude in Washington County that I am very, very jealous of. I try to keep things objective over here on the sports desk, but I can’t help acting like a University of Kentucky homer. When I found out on Friday afternoon that Kevin Hill of Alltech had won a free ticket to the Final Four in Houston, I was a pretty jealous guy. Then I found out he’d won an all-expenses paid trip, including a ride on the company private jet. Not a bad way to travel, I suppose. The Washington County High School baseball team nabbed a 6-0 win against Bell County (1-5) on Friday night, hours before they boarded a bus for Florida. The Commanders (6-3) jumped out to a 3-0 lead in the bottom of the first and cruised the rest of the way. Complete results from that game will be in next week’s edition. While in Florida, the Commanders dropped a 12-1 decision to Allen County-Scottsville (5-0). Complete results from that game will also be in next week’s edition. Game highlights: A big comeback on Friday at Idle Hour Park would send the Commanderettes (5-2) softball squad into spring break smiling. Trailing 4-1 in the bottom of the sixth, Washington County reeled off seven runs and batted around to go up 8-4 against Casey County. One of the first true signs that spring is here is that first mess of asparagus, and it has finally emerged from its cold winter nap. If you haven’t checked your bed yet, do so soon or you might lose your first picking. If you would like to start a bed of asparagus, now is the time to plant. In late January, USDA released their annual Cattle Inventory report, which estimated the size of the US cowherd. As expected, beef herd liquidation continued during 2010 despite the stronger fall markets. US beef cow numbers fell by 1.6 percent, which was largely consistent with pre-report estimates. The number of heifers held for beef replacements may have been the biggest surprise of the report, falling by about 5 percent. With fewer cows and less heifer development, the 2011 calf crop will clearly be smaller than 2010. BIRTH: Bartley: It's a boy! Eric and Kristen Bartley of Lebanon announce the birth of their son at 12:24 p.m. March 25, 2011 at Spring View Hospital in Lebanon. Joseph “Brayden” Bartley weighed 10 pounds, 3 ounces and was 23 inches in length. He was welcomed home by a brother, Jonathan Bartley, age 4. Maternal grandparents are Benny and Phyllis Humphress of Campbellsville. Paternal grandparents are Lisa Bartley, Wayne and Melissa Bartley, and Jimmy and Kim Lanham. Great-grandparents are Jim and Margaret Cocanougher.